Details: Ray photographed no fewer than five Elizabeth Line Ford Transit crew vans at Acton Works on 18th December 2018, four in the van yard (including 8648F seen here) and one in the front car park. As mentioned last month, it could be that these vehicles are not yet required due to the postponement of the opening of the new line. 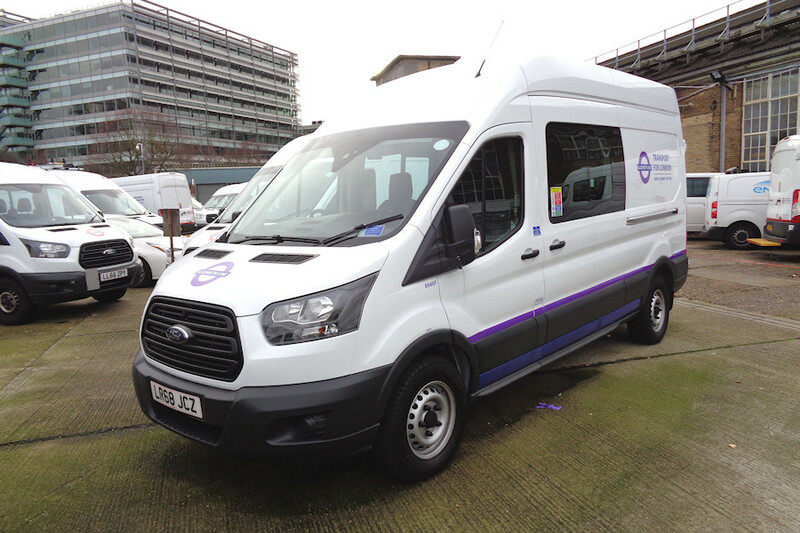 All of the fleetnumbers in the block 8634 to 8653 have now been allocated to Elizabeth Line vehicles (8644 not yet visually confirmed), and they also have 8656F and 8688F for a total of 22 vehicles. Having said that, the operator/s of Renault vans 8632/3R and Ford Transit dropside 8654F are not yet known and these could be further additions to the group.